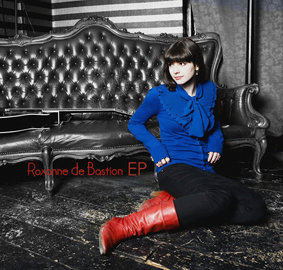 Originally from Berlin, Roxanne de Bastion came to London in 2007 and in the last few years she’s made a name for herself across the UK as a vibrant, enticing performer; playing some of England’s most prestigious venues including The Cavern Club, The 100 Club and Camden Town’s Barfly. The summer of 2011 saw the first of several major UK festival appearances including ‘Lounge on the Farm’ and ‘Beach Break’ and a new EP and video release. In 2012 she toured the U.S.A, Europe and the UK and recorded a debut album with producer Gordon Raphael (Strokes, Regina Spektor) in Berlin. Febuary of 2013 saw her first major tour of Germany followed by her albums release in April.